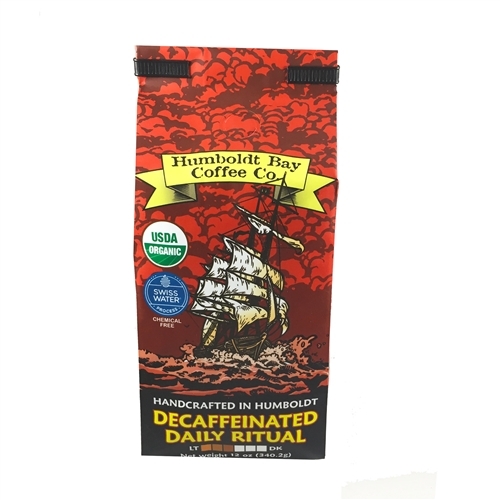 Using the best in 100% Arabica beans, our Daily Ritual is a rich and smooth blend. Comprised of medium roasted Indonesian, African, Central and South American beans. We created a unique recipe for your enjoyment any time of the day. Swiss Water Process Decaf uses an organic method to extract 99.9% of the caffeine while keeping an excellent flavor. © Copyright 2015 Humboldt Bay Coffee Company.